Whether you need a vaccine for traveling or your pre-teen needs an HPV vaccine, Dr. 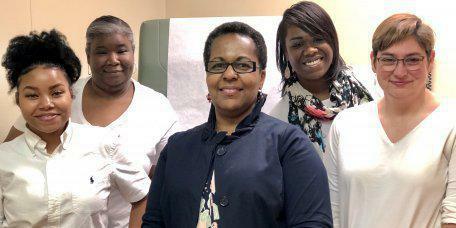 Crystal Brown at Brown Family Practice offers all types of immunizations for infants, children, and adults in the Fort Valley, Georgia, area. To learn more or schedule a vaccination appointment, call the office today or request an appointment online. Vaccinations work with your body’s natural defense system to develop immunity to certain diseases. Vaccines are one of the best ways to protect you and your loved ones from diseases that can be dangerous or even deadly, especially for infants and young children. According to the Centers for Disease Control and Prevention, vaccines have reduced preventable infectious diseases to the lowest levels they’ve ever been. Today, very few children contract measles, pertussis (whooping cough), and other illnesses. Vaccines not only help keep your child healthy, but they also help all children by eliminating these serious childhood diseases. Vaccinations help your body develop immunity by imitating an infection. This imitation infection doesn’t cause illness, but it does cause your immune system to produce the specific antibodies needed to help fight it. Then, these antibodies help protect you if you are exposed to the infection in the future. To find out which vaccinations your child needs, it’s important to have a conversation with Dr. Brown, because sometimes there are changes in recommendations or new vaccines that become available. Additionally, the AAP recommends that children get combination vaccines instead of single vaccines whenever possible. Some parents don’t want to have their children vaccinated because they think that their children will have a severe reaction or even contract the actual illness the vaccine is supposed to prevent. However, the components of vaccines are weakened or dead, so they're very unlikely to cause any serious illness. If you have questions about specific vaccinations or need to schedule them for you or your child, call Brown Family Practice today or book an appointment online.